They'll feel better in no time with this delightful treat! 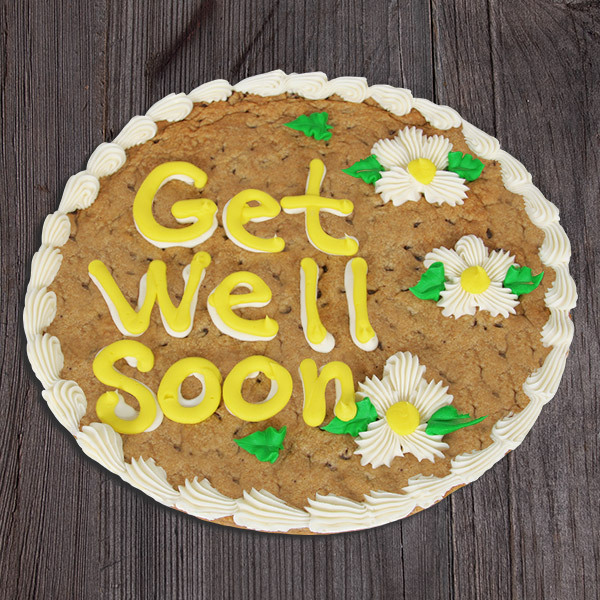 Our classic 12-inch chocolate chip cookie cake is hand decorated with creamy vanilla frosting, creating the sweetest way to let someone know you're thinking of them! Delivered on time and according to my Dad it is delicious! Made his day! Wanted to send a happy gift to my sister who just had surgery and she really liked it a lot! I ordered this cookie on a Friday and it was delivered next day on Saturday without crazy shipping and handling fees!